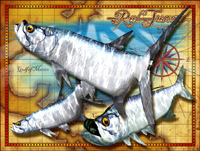 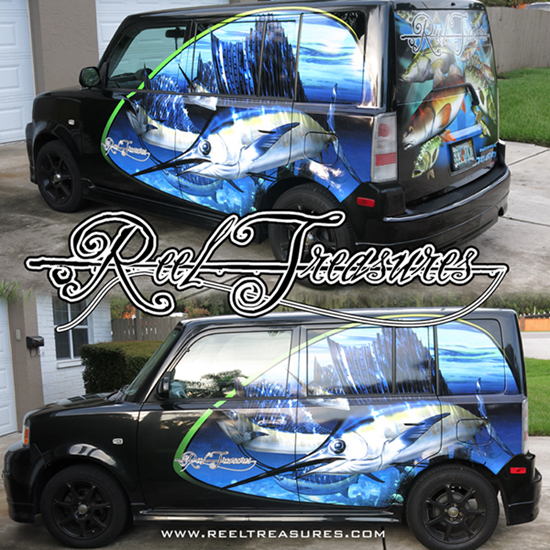 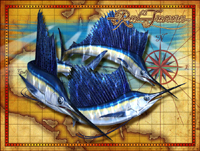 Reel Treasures offers custom designed boat and vehicle wraps. 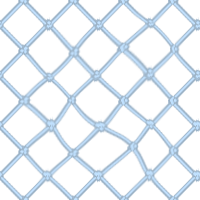 As the sizes and proportions of these works are unpredictable, all wraps are produced custom, per the buyers specifications. 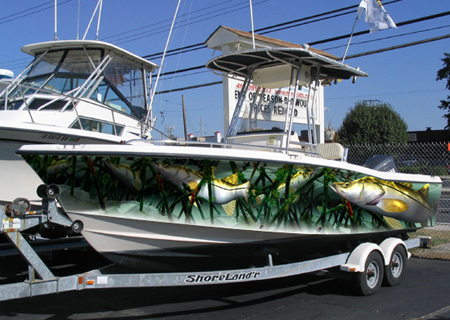 Artwork is delivered on high quality vinyl with UV laminate to prevent fading. 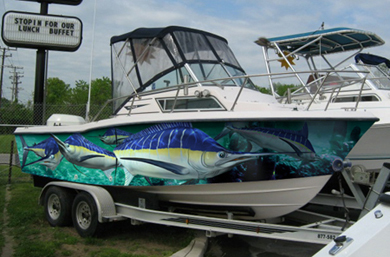 If you would like a quote on production of a boat or vehicle wrap please feel free to contact us.